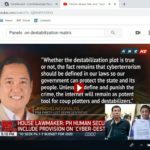 How Can Martial Law Education Be Truthful With Bam Aquino And Risa Hontiveros Behind Its Revision? The Senate is scheduled to review the status of martial law education in the secondary and tertiary levels after a resolution was filed by Committee on Education chairman and Senator Bam Aquino. 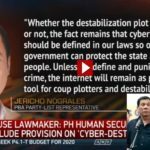 He filed Senate Resolution No. 29 to study how the martial law era is being taught in high school and colleges nationwide. Will he really stick to the truth? 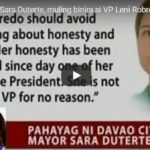 [VIDEO]: Panoorin nyo ang tunay na itsura ng Pilipinas sa panahon ni President Ferdinand Marcos. Bam Aquino may have no idea how martial law is being taught nowadays that’s why he got alerted by the youth’s responses over social media. If he sticks to the real history of the martial law era, Bam Aquino might not like it. 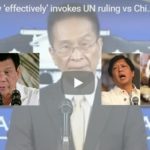 Martial law history is compulsory as part of the subject after the passage of Republic Act 10368 or the Human Rights Victims Reparation and Recognition Act of 2013. Aquino, together with the Committee on Youth, is set to lead the inquiry on Tuesday at 9 a.m. Aquino and brainwashed students? Where can the truth come from? On the other hand, Akbayan Senator Risa Hontiveros also filed a joint resolution seeking to declare September as a month of national truth-telling on martial law. This is allegedly in line with RA 10368. It is joined by elite student council leaders from Ateneo de Manila University, the activist-driven University of the Philippines, another elite De La Salle University and Adamson University. Hontiveros is so worried that her own interests will not be included by the real historians that will revise the said history. 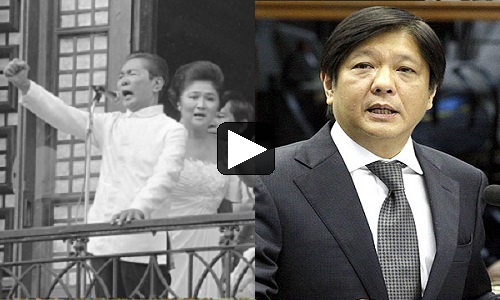 Martial Law was declared by Marcos to restore the country that has been in turmoil due to insurgencies. Aquino and Hontiveros should make sure that the new history will give specific mentions on the late President Ferdinand E. Marcos’ achievements in the infrastructure arena that until today, people are still using them in their day to day activities. The various modes of transport during the Martial Law are even more efficient than today’s maintenance especially after the Aquino administration’s failure in maintaining what the late President and the First lady did with the MRT/LRT projects. Bam Aquino better make sure that history mentions that or else it will just be another big lie. He should also give credit to Marcos for the emergence of power plants and irrigation systems that signals the beginning of reformed lands! Previous post: Marcos Burial Exhumation: Solicitor General Calida Knows Christianity More Than Priests And Nuns?